My very first time to Europe involved a study abroad program when I was 16 years old. It was the summer between my junior and senior year in high school, and with my advanced spanish class. My two best friends and I decided it was a necessity to go on this yearly school trip, and before we knew it we were on the plane to Spain, to study language & culture for a month.Ever since that trip I have felt a pull toward Spain. I loved to culture, the weather, the sandy beaches of the south, the castles and palaces, the food and the people. I fell in love with the language and decided to continue my study on into college. College came and I decided to minor in spanish. 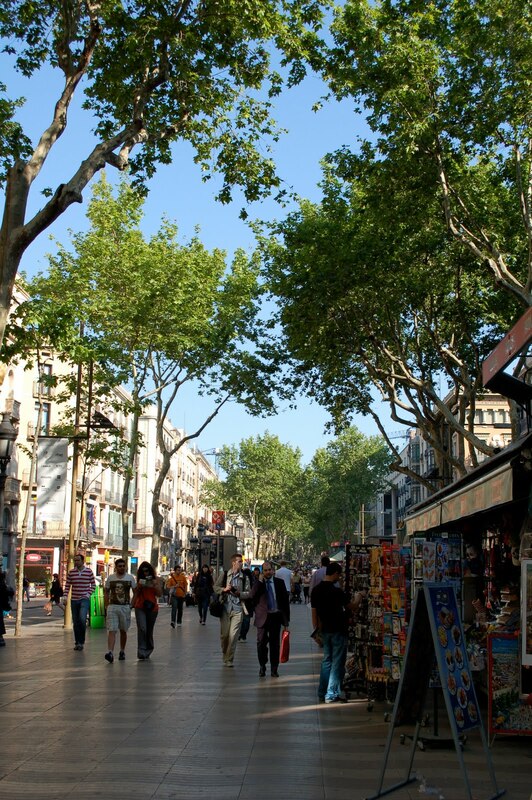 The plan was to become fluent, and my junior year in college I would study abroad in Barcelona for a semester. It seemed perfect, and I constantly counted down the days, fueling my urge to continue learning. But as they say, life has a funny way of repaying you when you make 'plans'. At the end of my sophomore year in college, I had a pulmonary embolism (I may or may not have the body/immune system of an 85 year old grandma) and was forced to withdraw from school. Away from my friends, stuck in the hospital and then bed rest at home, bored to tears, I came to the sad realization that study abroad was no longer an option. With my strict four year college cutoff date looming in the future, there was no way my credits would be evened out with the loss of a whole semester. And with the additional unexpected cost of my medical bills, there was just no way. I was crushed. I managed to stick out one more semester of spanish class, when I realized my motivation was gone, dropped the minor and switched to fine arts. Cut to present day. I couldn't be happier I decided to stay for that semester. Entirely too many funny stories and memories. Also, Switching to fine arts was the best decision I could have made, allowing me to re-fall in love with black & white photography, the discovery that I was actually pretty good at drawing, and the reminder that me and paint just do not mix. So everything must happen for a reason right? Moreover, my love of Spain was the deciding factor on our first leg of the trip! Life goal, check.